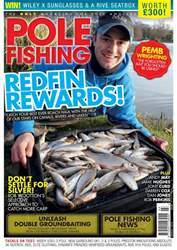 If you want to sack up this autumn, then you cannot afford to miss the October issue of Pole Fishing magazine! 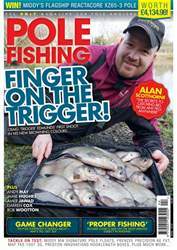 Des Shipp reveals the secrets that won Drennan Team England this year’s home international, while Grant Albutt uncovers his biggest shallow fishing secret. 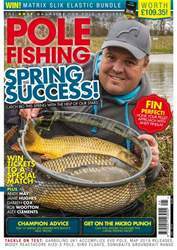 On top of this, we have a hemp fishing masterclass with one of the best river anglers in the Midlands, Ian Shepherd, and Andy Oldham explains the preparation principles that have taken him to the top. 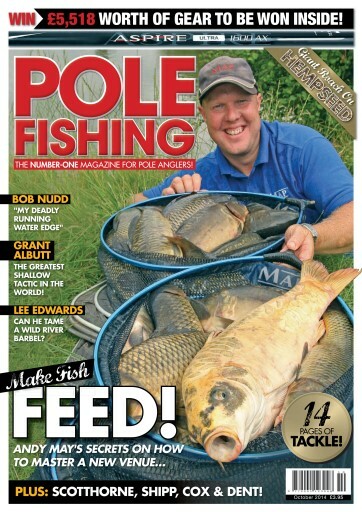 Lee Edwards tames a river barbel for the cameras and the legend that is Bob Nudd uncovers a method of presentation that has helped win him hundreds of matches over the last 30 years. 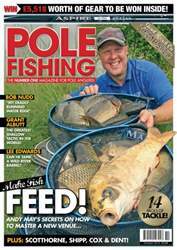 We also unveil an exciting new big-money Pole Fishing tournament for you to get involved with! For all this and more, pick up the October issue today!